I am thrilled to be partnered with the ArtsNaples World Festival. In conjunction with Nadia Artman of Artman Productions and Trey Farmer III, Chairman of ArtNaples, we are producing a series of videos highlighting this years festival in Naples, FL. I am helping them build their ArtsNaples World Festival YouTube channel. ArtsNaples is dedicated to enriching the lives of children through art education programs. We recently filmed students from the Florida Gulf Coast University band, showing the children at Fun Time Early Childhood Academy how to play brass instruments. It was an inspirational day seeing the kids light up at hearing the trumpet, trombone and french horn and even getting a chance at playing the instruments themselves. Please visit the education page on their site www.artsnaplesworldfestival.org/education to find out more about how you can help support this great mission. 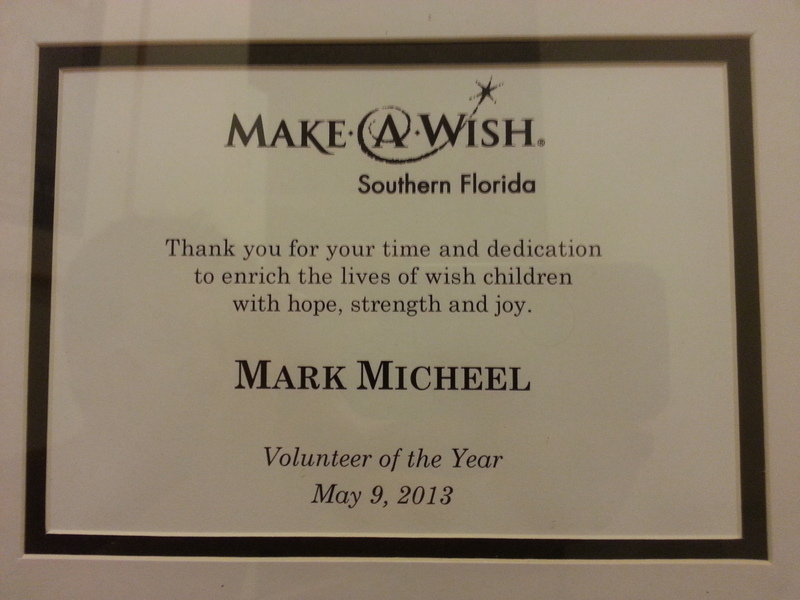 I wanted to say THANK YOU so much to the Make-A-Wish® Foundation of Southern Florida for honoring me with the 2013 Volunteer of the Year award last night at the annual appreciation dinner. I have learned that when you give, you get back much more in return. I truly love this organization. I have received so much personal satisfaction and have met so many great people over the 10 years that I have been with the Foundation. As a volunteer, in exchange for a small amount of your time, you get to give an unforgettable, life changing experience to kids that suffer from life threatening medical conditions. 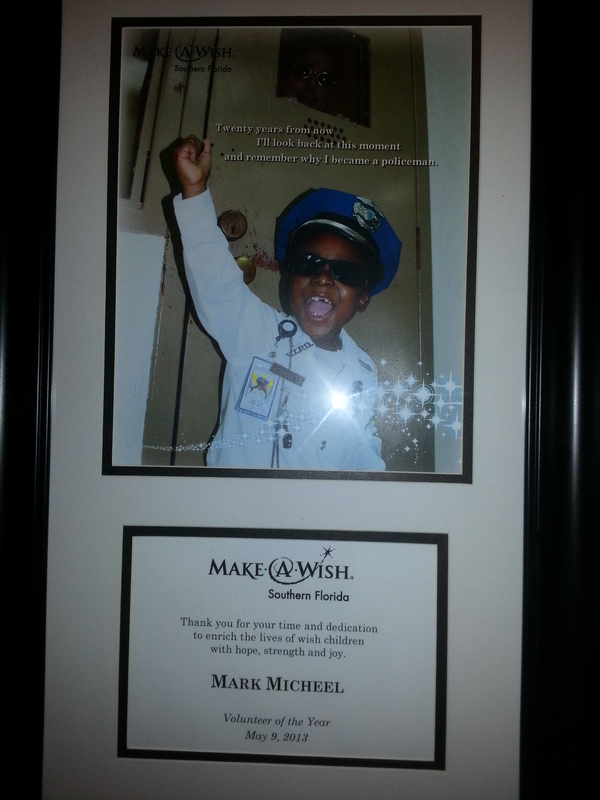 To watch some videos, which I have made over the years of children experiencing their wishes come true, please click here to see the Wishline TV page. 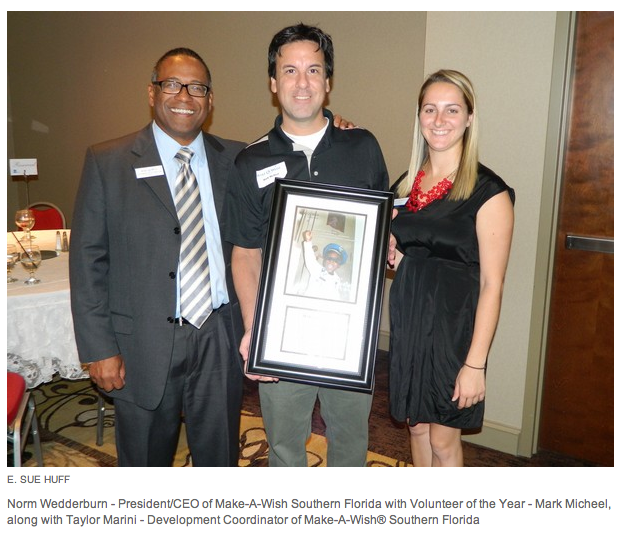 Also, if you would like to volunteer for this worthy organization please visit their website at www.sfla.wish.org if you live in Southern Florida OR visit www.wish.org to find the local chapter in your home state. This past weekend (2/10/13 – 2/16/13) I filmed a very informative six day business conference: The Social Media/Mobile Insider Summit at the South Seas Island Resort on Captiva Island, Florida for the NYC based company MediaPost. To see an example of my camera work filming the conference and learn about cutting edge mobile computing analytics, here is a link to the Dynamic Logic Keynote Presentation which I filmed and broadcast live on USTREAM for their Mobile Insider Summit USTREAM video channel. If you would like to broadcast your “LIVE” event on the internet or want to learn how to start and manage a TV channel on the internet, contact me at 239-913-9977.